Thank you to Belli Beauty for providing me with their skin restoring Stretchmark Minimizing Cream. All opinions are 100% my own. This post may contain affiliate links. Three years, three kids later - I've got stretch marks. Big surprise, right? 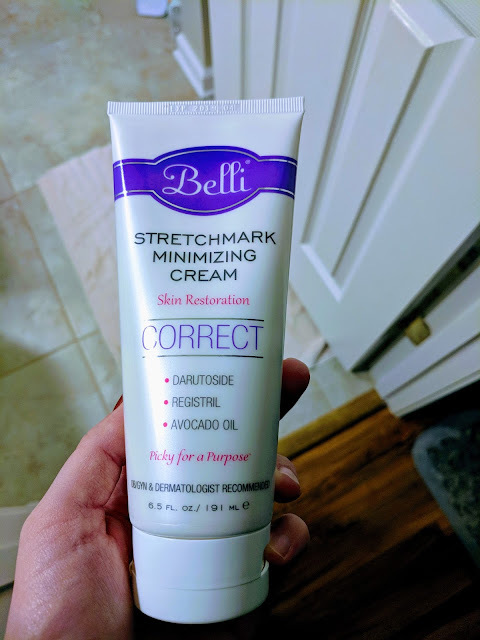 I have made peace with this fact and have embraced my Tiger Stripes, but I recently got the chance to try a stretch mark minimizing cream from Belli Beauty and I thought, what the heck!? Can't hurt. Belli Beauty is a company that makes luxurious, effective and safe skin care options for expecting Moms (and Moms who have already commenced #momlife). Their products are free of artificial dyes, fragrances and parabens - which can dry out and irritate skin. 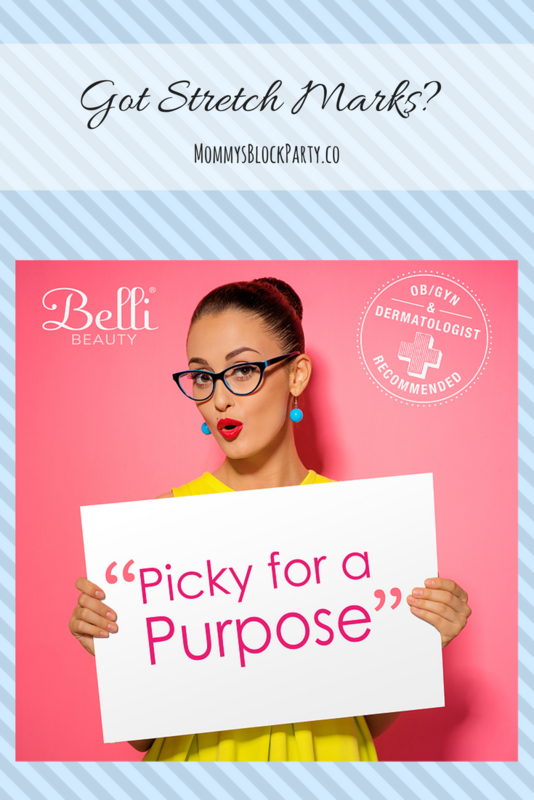 One of Belli Beauty's claims to fame is being "Picky for a Purpose" - and that purpose is to give you peace of mind when using their products. They have medically researched all of their ingredients to ensure that they are safe to use during pregnancy and beyond. That is nice to know! I know when you are pregnant, you spend half of your time reading labels and researching ingredients. Belli Beauty gives you one less thing to worry about! DARUTOSIDE: A compound derived from two plant extracts (Siegesbeckia orientalis and Centella asiatica extract) that is slow-acting but has the ability to restore and encourage collagen production in the skin- leading to more supple skin. Shown to reduce stretch mark length by 52%. REGESTRIL: A compound that actually contains green bean seed extract (!) that slows down the degradation process of the stretch mark and encourages cellular regrowth. Anti-inflammatory. Shown to reduce stretch mark depth by 72%. AVOCADO OIL: Contains natural Vitamin E, antioxidants and fatty acids that help restore and balance skin to look healthy and glowing. GINSENG: Tones and brightens skin with natural phytonutrients. 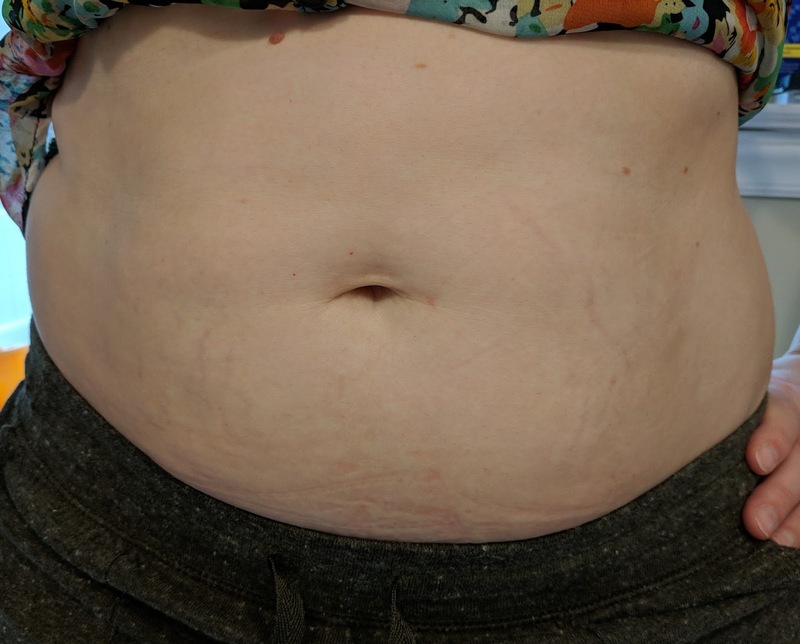 I used the StretchMark Minimizing Cream for 4 weeks as directed and I can honestly say that I can see a change in the look of my stretch marks. They appear shorter and less deep. I call that a win! The product says to use morning and night for 4 weeks and then as needed after that. The cream smooths into the skin and absorbs nicely and has a light citrus scent. One tip that Belli Beauty recommends is using their Pre-Treatment Scrub on the stretch marks to expedite the absorption and effectiveness of the StretchMark Minimizing Cream. I exfoliated the area with my Konjac sponge as an alternative method. Also, the StretchMark Minimizing Cream is for use on all kinds of stretch marks (not just the Mommy kind), no matter how old they are! Yay! Check out all of Belli Beauty's awesome skincare products online here. Follow Belli Beauty on Facebook, Instagram, Pinterest and Twitter for more awesome skincare tips! 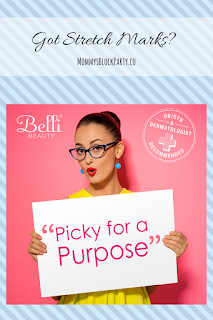 Belli Beauty is sponsoring a great giveaway for our readers! 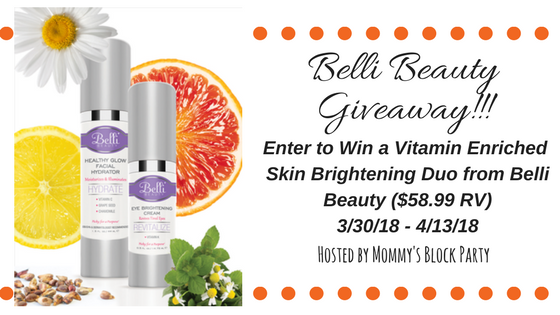 One lucky MBP reader will win a Vitamin Enriched Skin Brightening Duo ($58.99 RV) from Belli Beauty! Score! 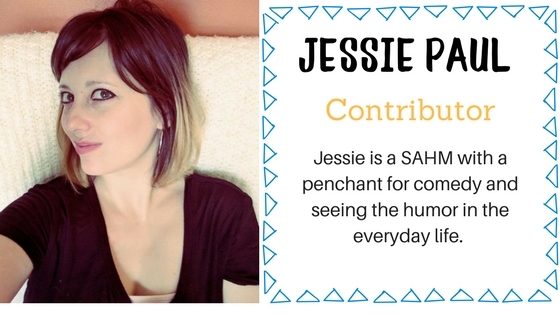 Use the entry form at the bottom of this post to enter! I like how it isn't greasy after applying! Less noticeable stretch marks really boost confidence! I like that these creams are not just for new mommy stretch marks and are effective on older ones too. It's very nice that they have medically researched the ingredients to ensure they are safe! Stretch marks are the problem faced by a majority of women and they are not able to wear the dresses they would like to wear but now everything is so advanced. I love using home remedies for the stretch mark, but takes a lot of time and efforts so I prefer to use dermology stretch mark cream its totally natural and does not takes a lot of time and efforts. And anyone can buy it online. I love that I can use this on my older stretch marks as well as the new ones! I love that it works on the old stretch marks as well. I like that this product is vegan friendly.